Master Gardener volunteers are NC State University-trained volunteers who educate the public about the benefits of gardening. Extension Master Gardener℠ volunteers are NC State University-trained volunteers who educate the public about the benefits of gardening. They do this through demonstration projects, classes, public gardens, charitable gardens, written and digital media, and public appearances. Master Gardener℠ volunteers are provided many opportunities to attend advanced gardening classes and gardening events each year. Sponsored by NC State University Extension, the group has a big impact locally donating nearly 10,000 hours per year. Are you interested in becoming an Extension Master Gardener℠ volunteer? To begin, download the application. Please fill it out and return by mail, in person, or via email by November 1, 2018. 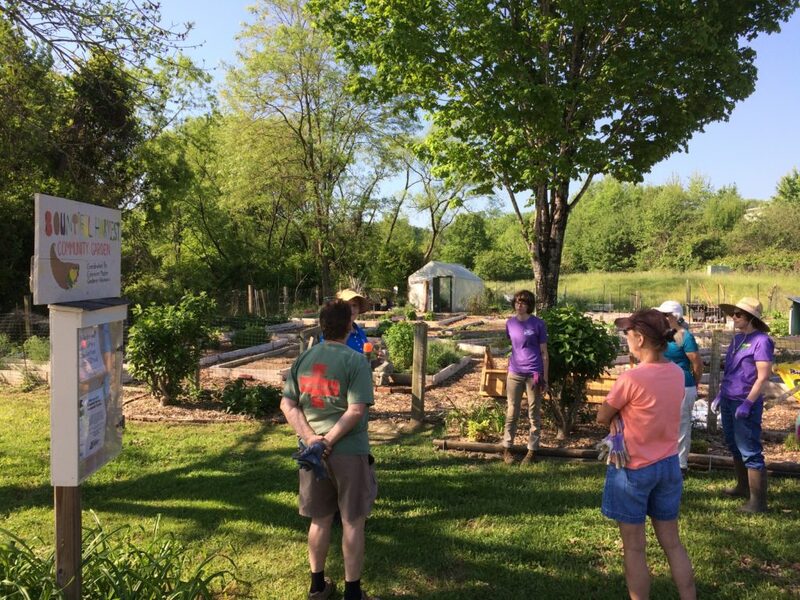 Henderson County’s initial Extension Master Gardener℠ volunteer training runs January – April, one day a week on Wednesdays, 9 a.m. – 1 p.m. The cost is $135 which includes a free online book (you can choose to buy an ebook or hard copy on your own). There are a few mandatory labs after the classes end as well. Trainees are required to do 25 hours of volunteering in our public garden projects and 15 hours on the information phone line in our office before they can graduate. Veteran Master Gardeners must do 10 hours of educational training and 25 hours of volunteer service in approved projects annually to remain certified. Thank you for your interest. I hope to see you in class in January 2019!